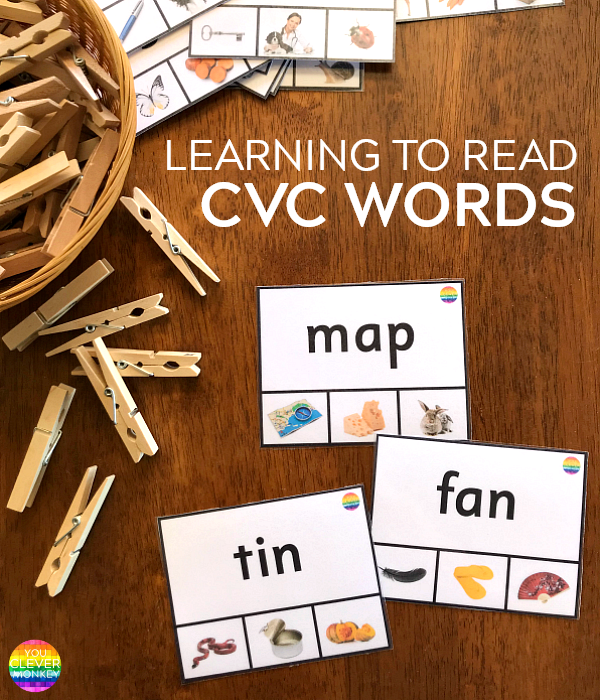 Use these ready to print resources in class to help support young children learning to read simple CVC words. 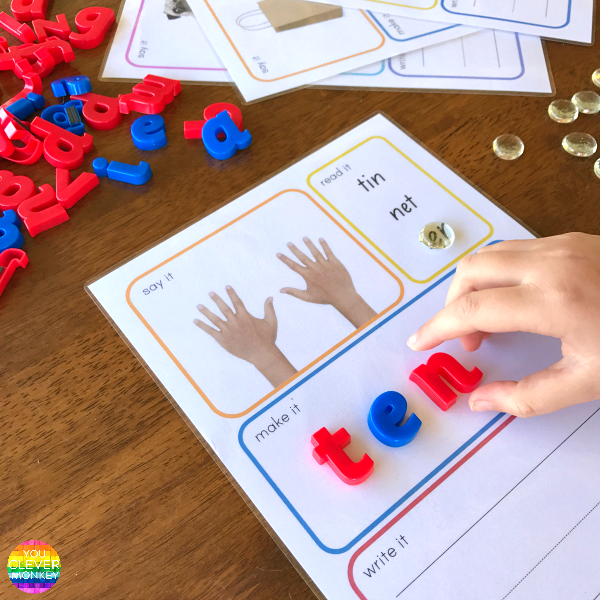 One of the first literacy skills young children must have as they start to read and spell simple words, is the ability to break words into sounds and to blend sounds together to make words. 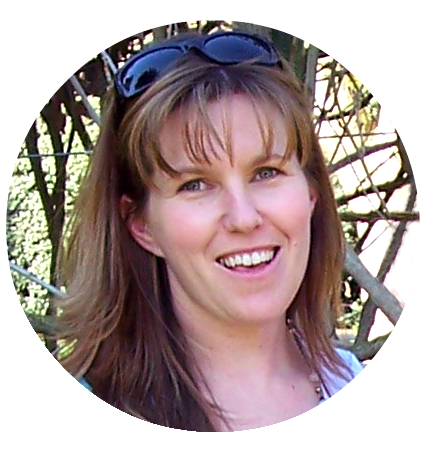 As teachers of kindergarten aged children, we know this is just one of the phonological awareness skills that develop between starting preschool and moving into primary school. 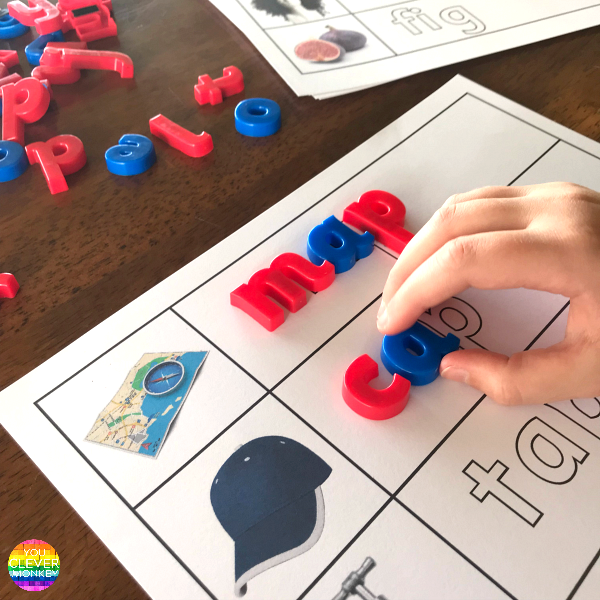 Often in my literacy centres, I try to incorporate an activity that focuses on building these phonological awareness skills but I recently realised that while I was allowing my students plenty of practice spelling CVC words, I wasn't giving them enough opportunities to practice their reading. 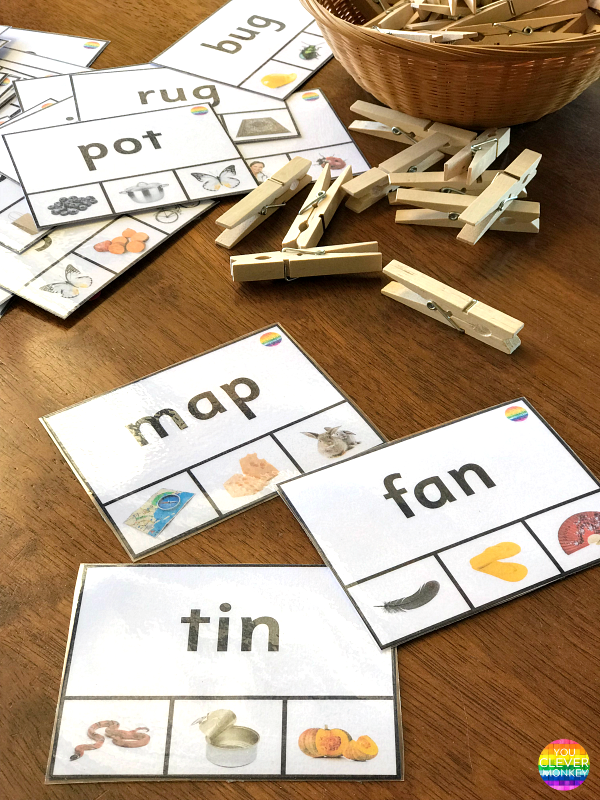 I created a few different CVC resources for our literacy centre rotations that would allow the children more reading practice. We'd been using these Word Family CVC Word Mats which model the word and then allow us to practice spelling the word. Then I introduced new set of clip cards. My class are used to using these and they are perfect for building up fine motor strength while they work. With this set of cards, the children are encouraged to say the letter sounds aloud then blend them together to form the word. They can then decide which picture out of the three matches the word they just read. Children can mark their choice with a clothes peg, counter or laminate the cards and use a erasable marker to choose the matching photo. 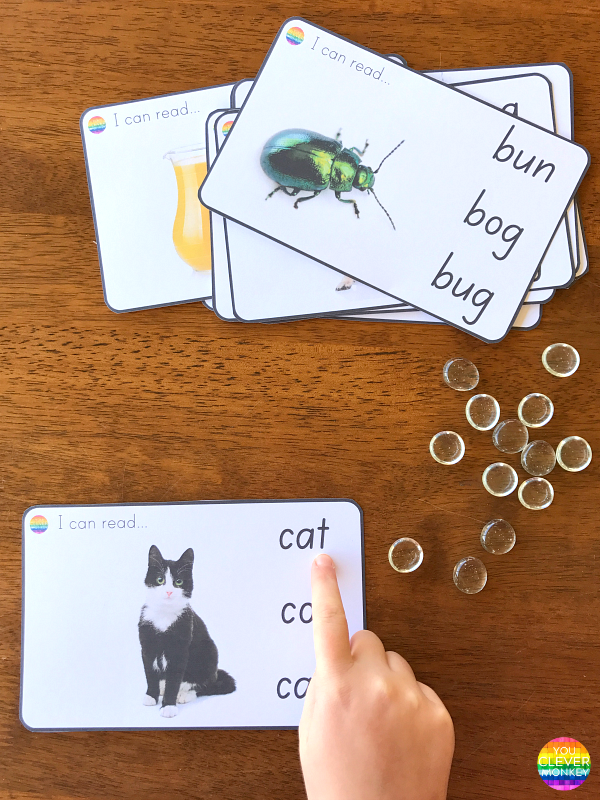 Another addition to our literacy centers, are these CVC 'I can read' cards. 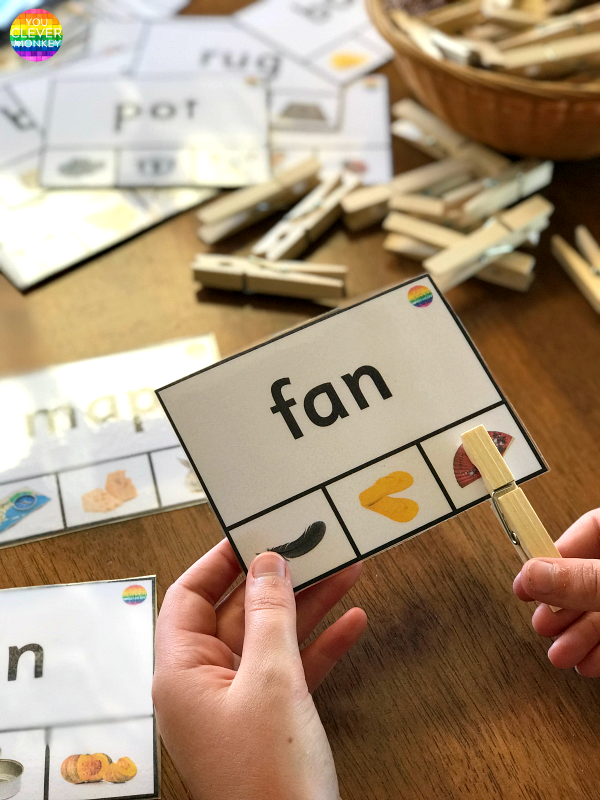 Again children are encouraged to sound out the letter sounds to form the three letter word before choosing the correct word to match the real life photo included on the card. I consider these a step up from the CVC clip cards as the children now have to read and choose between three different words rather than pictures. 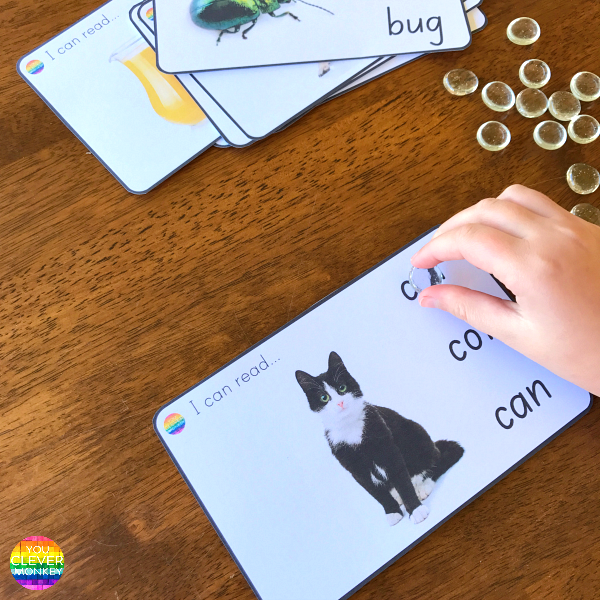 These cards also encourage young children to read through the word rather than just guess at it after only reading the first couple of letters. 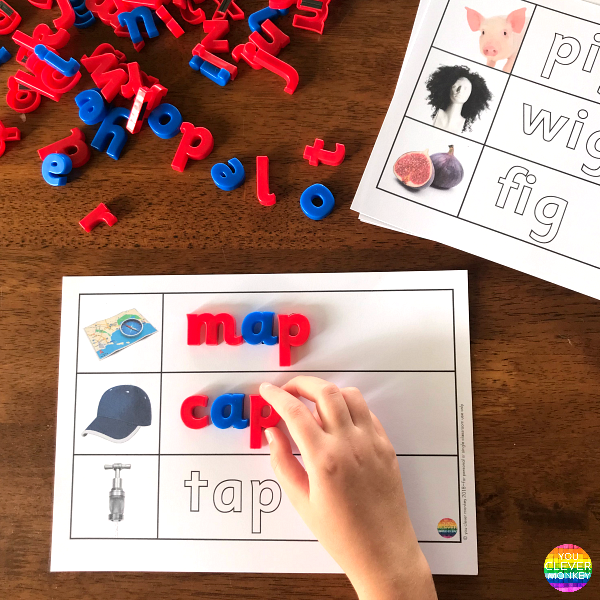 When children are ready, move them onto our CVC Word Mats. These are based on our popular 'Say It, Make It, Read It' mats. The mats still included a real life photos as visual support while also including some reading and spelling practice. You can find these CVC word mats here. Of course, like many concepts at this age, repetition and practice help make learning to read and spell easier. 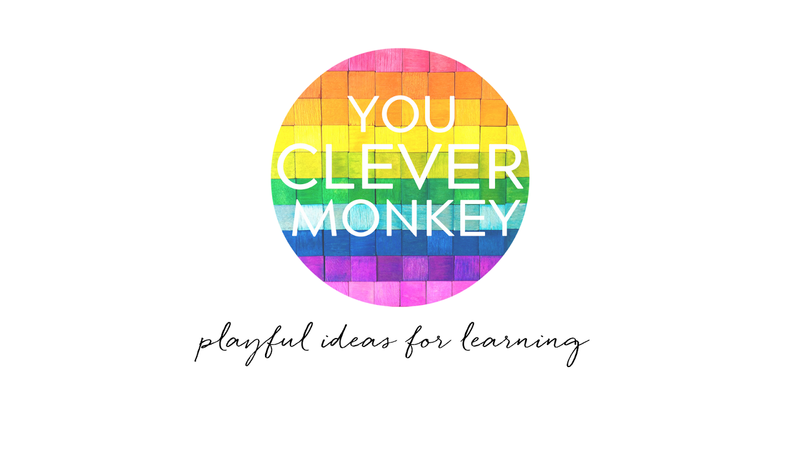 For more teaching and learning ideas using CVC words check out our post - How To Help Children Learn To Spell. This pack includes over 50 different word cards! match the correct picture to the word. 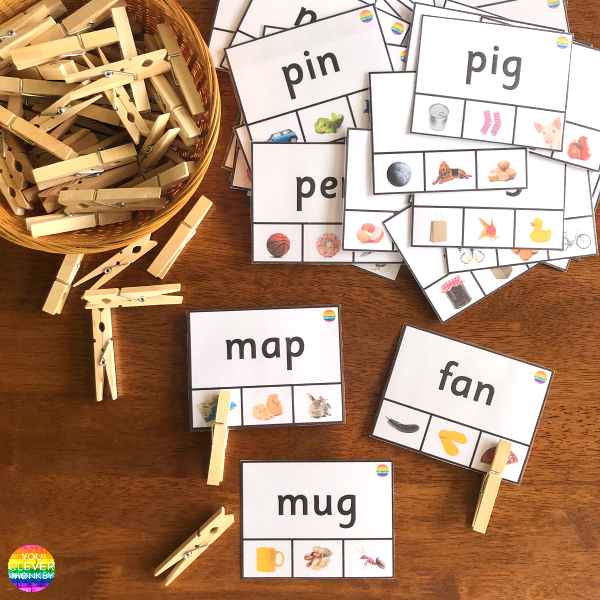 With 40 different word cards to choose from, just add clothes pegs or counters to mark the correct word. 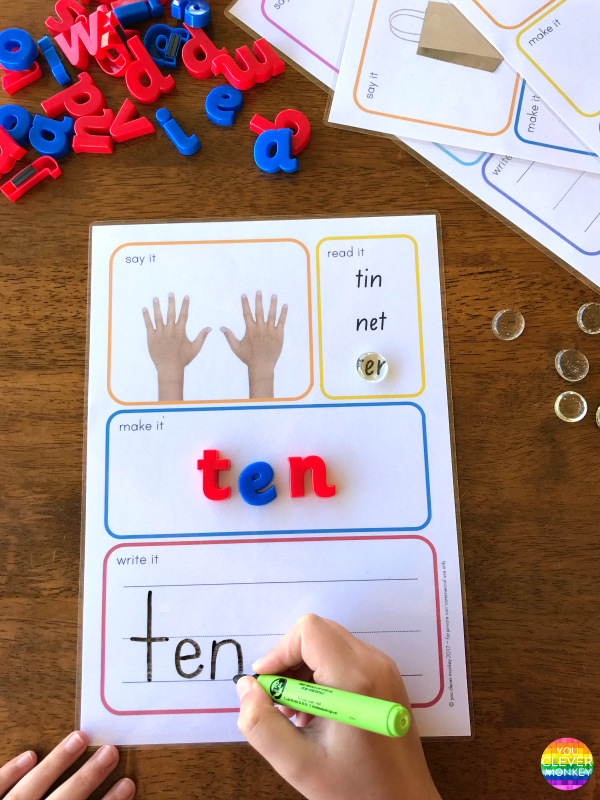 Just add magnetic letters or play dough. plus 17 CVC word mats featuring three words that change a single letter at a time to spell another word.